Shrouded in mystery and legends, Transylvania, or Ardeal, as Romanians call the area, is a historical region situated in the heart of Romania, surrounded by the Carpathian Mountains. The largest city in Transylvania is Cluj-Napoca, Romania’s second largest city and a former seat of the principality of Transylvania, back when the region was under the control of the Austrian Empire. The historical capital of the region is Alba Iulia, for centuries the seat of the leaders of Transylvania. From the colorful Saxon villages with their imposing fortified churches, to the legacy of the Szekely people, and the thriving Romanian traditions, Transylvania is a diverse and complex land, rich in history and culture. Beautiful landscapes, historic castles, medieval cities, authentic traditional villages, Transylvania has it all. Over the centuries, numerous populations settled on the territory of present day Transylvania, many of which left an enduring legacy in its culture. Its history began in 82 BC when Transylvania was the heart of the Kingdom of Dacia. Afterwards, the region was conquered by the Romans, and later invaded by different tribes such as the Visigoths, Gepids, Huns, Avars, and Slavs. The Hungarians conquered Transylvania at the end of the 9th century on their way to Central Europe. It wasn’t until December 1st 1918 that Transylvania was united to Romania. The “land beyond the forest” (the meaning of Transylvania in Latin) is located in the center of Romania, and covers 14 counties and seven ethnographic areas, such as the Motilor Land and the Szekely Land. Six million people live within Transylvania’s borders, of diverse ethnic backgrounds. The region is home to the largest community of Hungarians that live in Romania, as well as to Germans, Gypsies, Jews, Ukrainians, Slovaks, and many more. Some of the best preserved medieval towns in Europe can be found in Transylvania. The old Saxon architecture, the charming cobbled streets, and the well preserved citadels make up a fabulous medieval world. Brasov, Sibiu, or Sighisoara are some of the best examples of medieval towns in Romania. Dozens of castles shrouded in mystery are scattered throughout Transylvania’s lush green hills. By far, the most famous and attractive is Bran Castle, located nearby Brasov, the legendary residence of Count Dracula. Other fascinating castles are Peles Castle, Savarsin Castle, Bontida Castle, which was called in the past Transylvania’s Versailles. 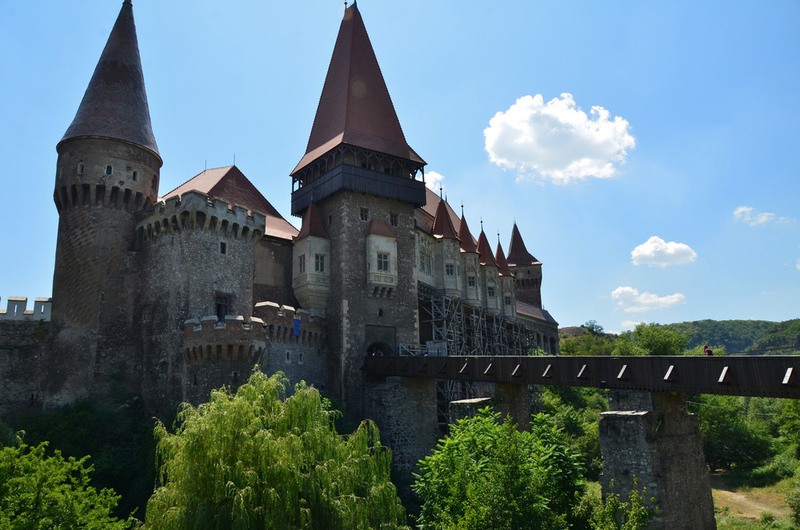 Do not miss the largest gothic castle in Central and Eastern Europe, the Corvin’s Castle from Hunedoara. Some of the most interesting fortified churches of Transylvania are those from Harman, Viscri, Biertan, and Prejmer, the largest of their kind in Europe, examples of Saxon architecture, with tall towers and heavy defensive walls. Considered a part of Transylvania, Maramures is a place of strong religious beliefs. Almost one hundred wooden churches dating from different historical periods and many declared parts of UNESCO’s World Heritage can be found throughout Maramures. Some of the most interesting are those from Desesti, Josani, Poienile Izei, and Moisei. Some of the best vineyards in Romania are located in the Transylvania Plateau. Do not miss Jidvei, on the hills of Alba County, a well-known producer of fine white wines, such as Traminer, Sauvignon Blanc, Feteasca Regala and Muscat Ottonel, as well as other small wine producers from Transylvania's traditional "Weinland" region. 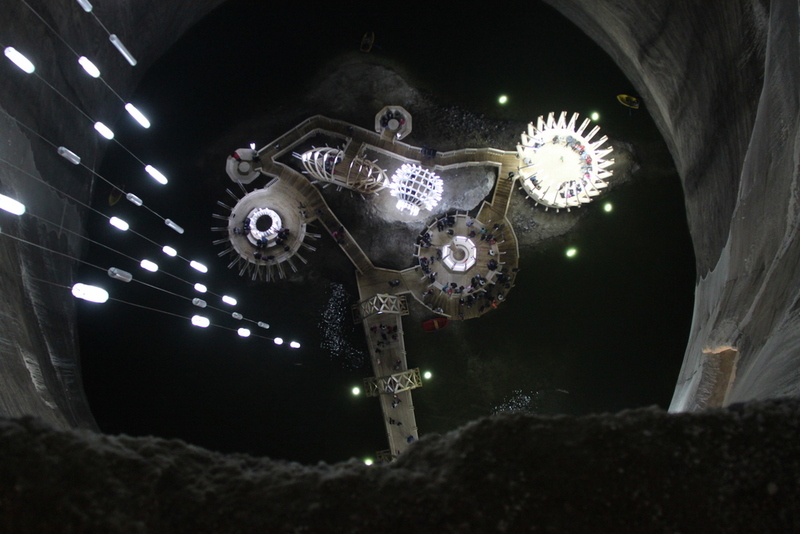 25 amazing architectural wonders from all across Romania have been included by UNESCO in the World Cultural Heritage: fortunately for the traveler aiming to focus its trip on the Transylvanian region, 17 of them are located within, 14 of them being accessible by car in less than 2h from Alba Iulia. Located in Alba County, the Calnic Fortress is the closest fortified you can visit if you're based in Alba Iulia: a 30' drive will get you there (driving directions). The most impressive fortified church is Biertan, 1h45' drive from Alba Iulia (driving directions). Except for Prejmer (located near Brasov), all the other fortified churches are accessible in less than 1h from Biertan. There is a strong tradition of building wooden churches across Eastern Europe, from Karelia and northern Russia all the way to the Adriatic, but in terms of both quality and quantity the richest examples are in Maramures. The Wooden Churches of Maramures are unique in shape and ornamentation and eight of them – in Barsana, Budesti Josani, Desesti, Ieud, Plopis, Poienile Izei, Rogoz and Surdesti, have been recognized by UNESCO as World Heritage Sites. The characteristic high roofs and tall, narrow, pointed steeples are often collectively described as the Gothic Style of Maramures. The primary wood material used by the artisans was local oak, which has survived the elements with sturdy elegance until today. The interior walls of the churches were painted by local artists, with biblical scenes often juxtaposed against the familiar landscape of the village. Most of these houses of worship have stood proudly since the 17th and 18th centuries – some even longer. The oldest wooden church in Maramures is the Church on the Hill in Ieud, which dates from 1364 (source: Romanian Ministry of Tourism). A 3h drive from Alba Iulia will take you to the closest wooden church to visit: Rogoz (driving directions). All the other 7 churches are located within 60km/40mi away from it. For centuries, the historic provinces of Romania have been distinct political and cultural entities, which explains why there are some major differences between the customs and culture of the various Romanian traditional areas. At the same time, Romania is one of the few countries in Europe where folk traditions are still well preserved, and that is especially true in areas such as Maramures or Bucovina, patches of land where modernity hasn’t yet obliterated the traditional lifestyle of their inhabitants. Let’s take a look at some of the most distinct Transylvanian ethnographic areas. Tara Motilor (the land of the Moti) is the cradle of Romanian spirituality in Transylvania. The Moti are the inhabitants of the rugged Apuseni Mountains in central Transylvania, hardy, modest people that have been earning their living from woodworking, shepherding and mining since the dawn of time. Due to their geographical isolation and proud independence, the Moti have kept alive many of their ancestral traditions. Perhaps the most picturesque example is the Girl Fair of Gaina Mountain, a yearly folk festival that was originally an occasion for young girls to show their dowry and find a worthy suitor. The Nasaud traditional area is located in northeastern Transylvania, covering a mountainous landscape that was once the border of the Habsburg empire. While the city of Bistrita, the seat of the region, displays a distinctive Saxon and Hungarian heritage, the area of Nasaud, and especially the Somes Valley, shows a pronounced Romanian character. Due to the nature of the relief in the Nasaud area, people here have mostly earned their living from shepherding, but also beekeeping, woodworking, and fishing. One distinctive feature of traditional folk costumes from the area is the crest of peacock feathers worn on headwear by both men and women. Tara Fagarasului (Fagaras Land) is a region in central Romania delimited by the middle course of the Olt river to the north and the Fagaras Mountains, the highest in Romania, to the south. Historically, Tara Fagarasului was a distinct region separate from Transylvania, that was owned as a personal property by the princes of Wallachia or Transylvania, depending on the historic period. Tara Fagarasului boasts several historic monuments, including the well-preserved Fagaras Citadel, while tourists can admire a rich collection of traditional costumes, tools, art, and other objects at the History Museum of Fagaras. 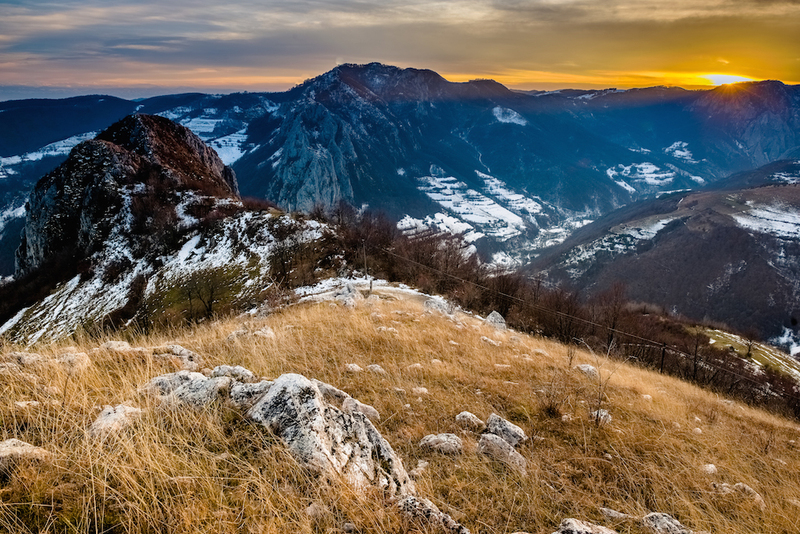 Out of all traditional areas of Romania, Tara Hategului (Hateg Land) is probably one of the richest and most diverse. Home to the ancient capital of Dacia, Sarmizegetusa, and many other historic landmarks, Tara Hategului awaits visitors with picturesque landscapes and elements of authentic traditional culture. Medieval churches, a wisent reserve, paleontological reserves, castles, natural parks – these are just some of the attractions that people in Tara Hategului pride themselves with. For those interested in folk culture, the Village Museum in Pesteni and the Tara Hategului Museum in Hateg exhibit traditional costumes, domestic objects, furniture, tools, and more.